My floral journey began in the middle of our vegetable garden, in a little space beside carrots where my husband grew flowers for me during a challenging year with my health. Making arrangements lit a fire in me and quickly became my most loved form of expression. A few healing years later, Rise Floral was born. Continually inspired by the outdoors, I strive to reflect the natural world in my designs. Every piece is thoughtfully curated, providing captivating color stories and organic movement by allowing flowers to keep their spontaneous shape. In addition to sourcing speciality blooms, I work closely with local farmers throughout the region who use environmentally responsible growing practices. By cultivating a sustainable lifestyle, I forgo the use of floral foam in my work as well as other products which are harmful to our health and the earth. After events, leftover flowers are always composted in our garden — the gift that keeps on giving! 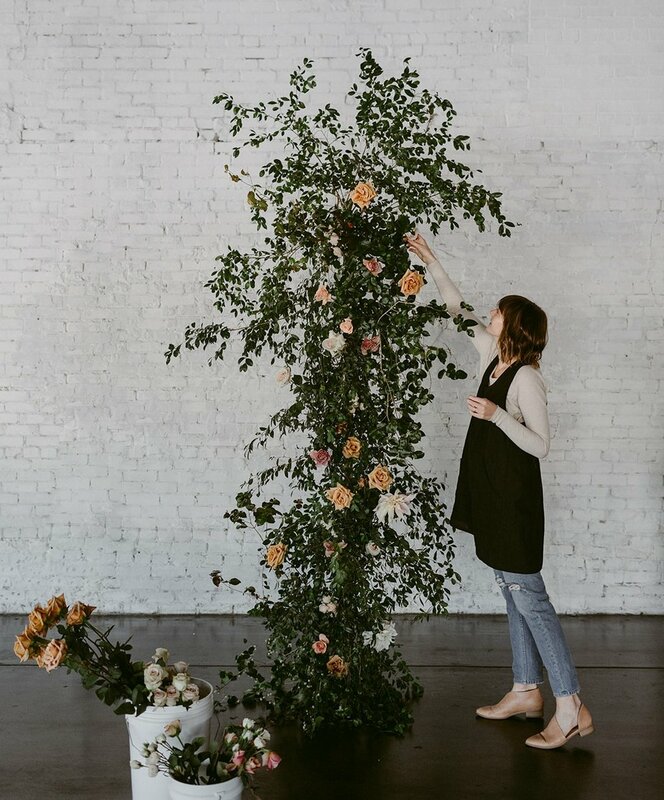 While weddings and elopements are my main focus, custom florals are also available for editorial styling and events. Collaborating with like-minded creatives is something I'm very passionate about, so don't hesitate to ask. It’s an honor that I’m able to share this craft with you and play a small part in telling your story. Each piece I create has a piece of my heart in it. Rise Floral has a full service design studio in Incline Village, NV serving Lake Tahoe and surrounding areas. If you're interested in booking a wedding, event or editorial please email Brooke.